Why choose Redplug for Loft Insulation? Redplug is the leading approved installer of Rockwool Blown Loft Insulation. We install Rockwool Rockprime into a range of projects including domestic, commercial, refurbishment, retrofit and new build structures. We offer installations to suit individual requirements including out of office hours working, weekends & holiday periods. Our client list includes contractors, developers and institutions as well as private individuals. The Rockwool blown loft product is installed with full compliance of the manufacturer’s BBA certification and under full supervision of Rockwool Ltd. Redplug and Rockwool can offer a full suite of technical support including U values, surveys and inspections on request. Blown Insulation is much quicker & safer than quilt alternatives and is installed with the minimum of fuss and impact on the building fabric as transportation through the building is minimal. 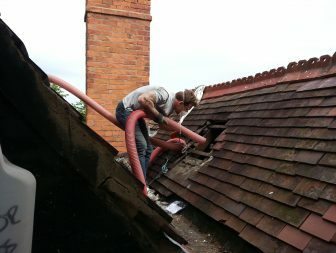 Loft insulation should be first on the list in your drive to energy efficiency and we would recommend you install insulation to a depth of 400mm to maximise your savings, however current minimum requirements of 270mm will have a major impact on energy use. 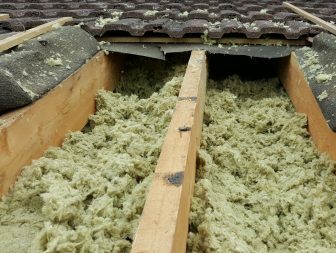 270mm of Rockwool insulation offers a ‘U’ value of 0.16 W/M 2K and will also offer you market leading fire ratings, excellent acoustic insulation and will last forever!.